Construction party printables to make your own grey and yellow construction party theme for birthday parties and baby showers! This MEGA construction party printable kit is filled with so many printables to make! Many of the printables in this set are even CUSTOMIZABLE—add special messages, children's names, or other words to your customizable party printables yourself! Simply click and type on your customizable printables before printing! 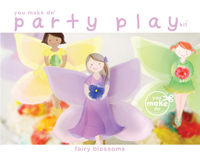 This party printable kit is an INSTANT DOWNLOAD! 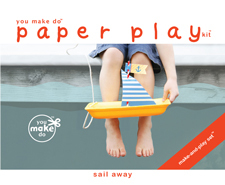 After receiving your order, a link to this You Make Do® party pdf printable download will be automatically e-mailed to you on your receipt. Begin printing as many as you wish right away at home or at your favorite print shop! This construction party printable set includes: ? DIY CUSTOMIZABLE straw topper printables ? DIY CUSTOMIZABLE (way too cute!) fuel pump juice box wrappers. Fits drink box brands that are 4.5" tall and 2" wide (like Fruitables brand juice boxes). ? DIY CUSTOMIZABLE construction barrier sign printables may be used as place cards or menu cards ? DIY CUSTOMIZABLE 3" party circles may be used as gift tags, cupcake toppers, name tags and more (Use them to customize construction hats with the guest's names)! ? DIY CUSTOMIZABLE party sign printables to add welcome signs, gift table signs, food table signs, game station signs, and more! 4 diamond shape designs 7.5" X 7.5" and 1 rectangle sign 7" tall and 10". ? DIY CUSTOMIZABLE yellow and grey rectangle construction vehicle gift tags in 3 designs (backhoe, loader, and dump truck) 2.5" wide X 5.6" tall ? DIY CUSTOMIZABLE yellow and grey cupcake wrapper printables in 3 designs ? DIY CUSTOMIZABLE dump truck (in 3 colors) construction party drink label printables ? construction party chevron drink label printables ? construction party treat bag topper printables ? yellow and grey chevron construction party banner printable may be customized with any names or messages with the letter customization set and the dump truck party circles that come with this kit. ? grey customization letter set to add names or messages to your banners—add letters to spell messages like "happy birthday jake! "—or, any message you would like. Our customization printable package includes every letter of the alphabet, numbers up to 13 (use combinations of numbers to make higher numbers), and many special characters and symbols including & + # , ' . ? + — : ! 60 custom party printable pieces in all. ? 3" dump truck party circles may be used as cupcake toppers, gift tags, favor tags, and to decorate the banner. Dump trucks come in 6 colors: blue, yellow, red, light blue, orange, royal blue. ? 2.5" dump truck party circles may be used as gift tags, favor tags, cupcake toppers, name tags and more. Dump trucks come in Dump trucks come in 6 colors: blue, yellow, red, light blue, orange, royal blue. Use them to decorate your banners too! ? 3" yellow and grey construction vehicle party circles (includes loader, backhoe, and dump truck) may be used as gift tags, cupcake toppers, name tags and more! ? 2.5" yellow and grey construction vehicle party circles (includes loader, backhoe, and dump truck) may be used as gift tags, cupcake toppers, name tags and more! Use them to decorate your banners too! ? 12 small arrow and diagonal stripe construction sign toppers. Attach to toothpicks, skewers, or lollipop sticks to use as cake or cupcake toppers (we put a signs on each side of our skewers). ? 20 mini arrow and diagonal stripe construction sign toppers. Attach to toothpicks, skewers, or lollipop sticks to use as cake or cupcake toppers (we put a signs on each side of our skewers). ? construction party cones for games and decorations ? 8.5" X 11" stripe yellow and grey paper for gift wrapping or creating your own additional party decorations SO MANY printables to print, make, and enjoy for a fun-filled construction party celebration!
? Need a construction party invitation? Our instant download customizable construction invitation is available from the link below!